More than 10.4 million Latinxs call Texas home. Accounting for 39 percent of the population, the group has influenced the Lone Star State’s culture, food, music and slang, but it hasn’t made nearly the same impact on politics. In 2012, just 38.8 percent of eligible Texas Latinx voters cast their vote in the presidential election. That number grew to 40.5 percent in the 2016 election, but it was still well below that of non-Latinx voters in the state. With the demographic not tapping into its political power, the Republican state has been able to pass some of the harshest, anti-immigrant legislation in the country, including SB4, a recently passed law that bars sanctuary cities and allows law enforcement to racially profile, intimidate and detain undocumented immigrants. Hoping to prevent similar legislation from passing in the future, Jolt is cultivating a new generation of civically engaged Latinxs. The Austin-based nonprofit, which launched just after Donald Trump’s election win, is organizing the community through entertaining cultural activities, education, voter registration and mobilization. Already the group, founded by part-mexicana Cristina Tzintzun, has trained hundreds of volunteers, started a chapter at the University of Texas at Austin and hosted several community events for young people and their families. “No moment is more ripe for change than the one we are in now,” 34-year-old Tzintzun, an organizer who founded the labor rights nonprofit Workers Defense Project, told us. She is hoping SB4 will mobilize Texas Latinxs much in the way Prop 187, which aimed to curtail access to state services for undocumented immigrants, stimulated the demographic in California 20-plus years ago. We chatted with Tzintzun, Jolt’s executive director, along with peruana Tania Mejia, the group’s communications director, about Texas’ low voter turnout, how the Latina-led organization is hoping to solve this problem, creating community leaders and using culture to spark political change. What prompted you to create Jolt? I organized undocumented workers in Texas over the last decade, and I saw that we achieved a lot when we came together. Still, after fighting and expecting immigration reform to happen, it did not. It was clear we needed to build our political power. Now is our time to prove to legislators that we have the power to vote them out of office and transform the state and country. 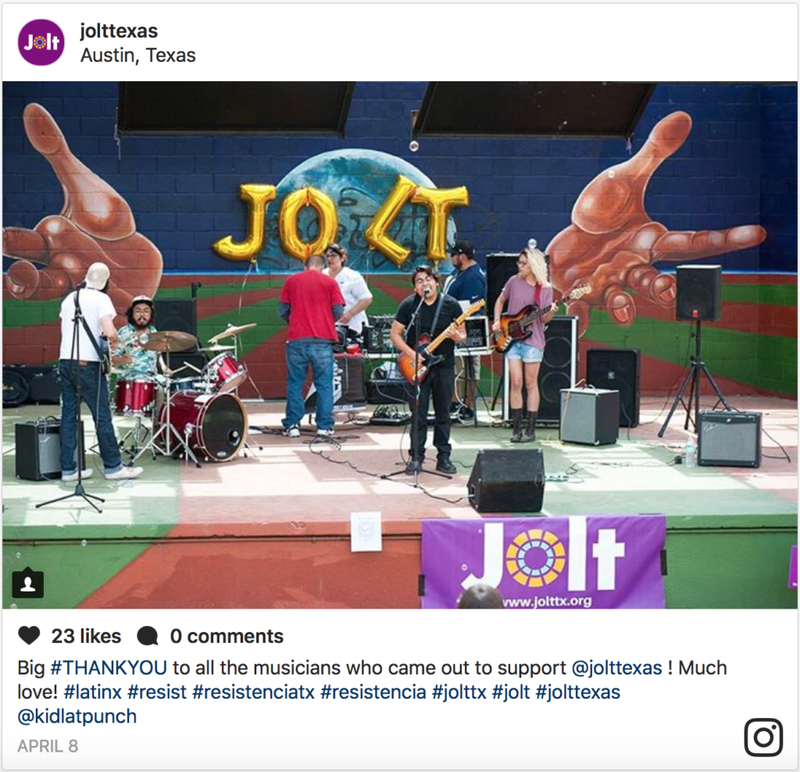 Jolt is a civic engagement organization with the mission to increase Latinx voter turnout in Texas. Why is this issue particularly necessary in your state? A lot of people think that Texas is a Republican state, but the reality is that it’s a non-voting state. One of three voters is Latinx, but we have really low voter turnout. A little under a third of Latinxs who can vote are actually exercising that right. We believe that if Latinxs get out to the polls, and become more civically engaged, we would be represented better. Why do you think voter turnout is so low? I think some of it is institutionalized. Federal courts have held that Texas voter ID laws keep brown and Black folks from the polls. There was also a lawsuit at the federal level that addresses redistricting that makes it harder for Latinxs to see their votes matter. But there’s also a cultural problem. There isn’t a culture of Latinxs being engaged in politics and holding politicians accountable. We want to help create that culture in Texas, and move people to take action. How is Jolt trying to solve this problem? We start by partnering with artists of all kinds – painters, visual artists, musicians, etc. – to hold cultural events. We want that to inspire people to be engaged, to use these things to attract them and then sign them up for trainings that can help them become grassroots organizers. We’re trying to build the next generation of Latinx leaders. Tell us about some of the cultural events you organize. There have been a few. In April, we partnered with the Chulita Vinyl Club, a collective of Latina DJs, and others to put together Resistencia Fest, a concert for young people that celebrated their protests against ICE raids. It was free and targeted millennial Latinxs, particularly high school students. It was us celebrating them through a community event. But we also used the moment to call people to take action and register them to vote. We did the same later that month at Bidi Bidi Banda, a birthday celebration and tribute for Selena Quintanilla. While we didn’t plan that festival, we know how much our community loves Selena and knew it would be a great place to engage with people. More recently, in celebration of Mother’s Day, we held a live mural painting event, where immigrant moms and children painted in front of the Texas State Capitol. 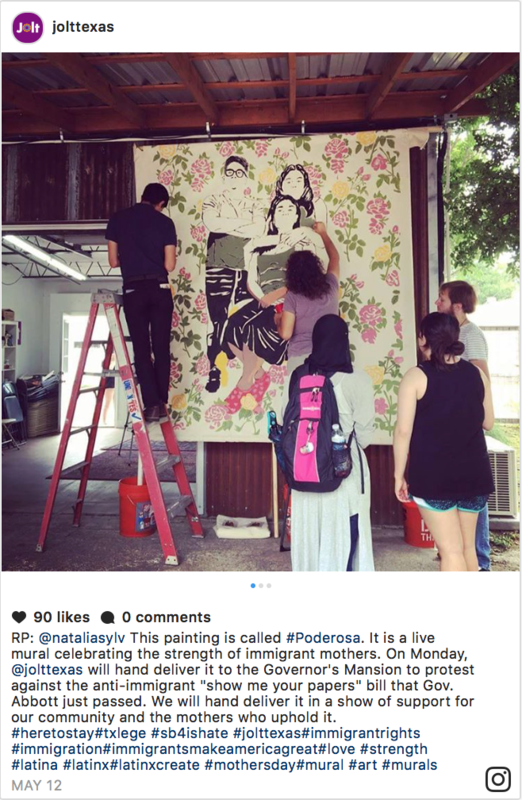 The mural, titled Poderosa, was created by queer Latina artist Claudia Aparicio Gamundiand calls for an end to deportations while celebrating the strength and resilience of immigrant mothers. That sounds amazing. You previously alluded to the Jolt Organizing Institute. What are some of the tools participants leave with? We train them on grassroots and digital organizing, so they learn about voter registration, how to have one-on-one conversations with people on the issues that matter to them, how to hold civil disobedience actions, how to recruit people and more. Why is it important to Jolt to help create community leaders? We believe that change should happen bottom-up, so the people directly affected by SB4, for instance, should drive the change in the community. We want to empower young people to obtain the skills they need to build a movement on issues they care about. Movements are more successful, and mean more, when they come from those directly impacted. I understand that 40 percent of your training is for young people (ages 16 to 30) and half of all leadership training is reserved for women. Why? Well, women are disproportionately impacted by many of these issues. They are heads of the family, they work, they are more likely to live in poverty and they lack access to health care. We want to empower women because they are the cornerstones of our society. When women are empowered, families are empowered. 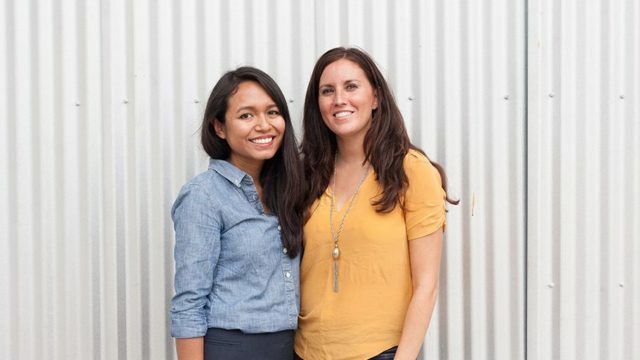 Jolt itself is an all-women-operated organization. Can you talk about the significance of that? It actually wasn’t on purpose. Cristina wanted an organization that represented the people who wanted to organize, and it kind of happened that we are all women. But it is important for us to inspire and move people, and women are affected at disproportionate rates, so we wanted them to be decision-makers. While we didn’t set out to be all–female run, we think it’s good. We all really support each other. How can people who aren’t in Texas help support Jolt’s work? They can, of course, follow us on social media, sign our petitions and organize online; however, they can also organize with us in person. We will soon be hosting Freedom Summer, where we will call on Latinxs from across the country to come to Texas this summer to dig in deeper against SB4 and register voters.